Standard - $26.99 Only 6 left! 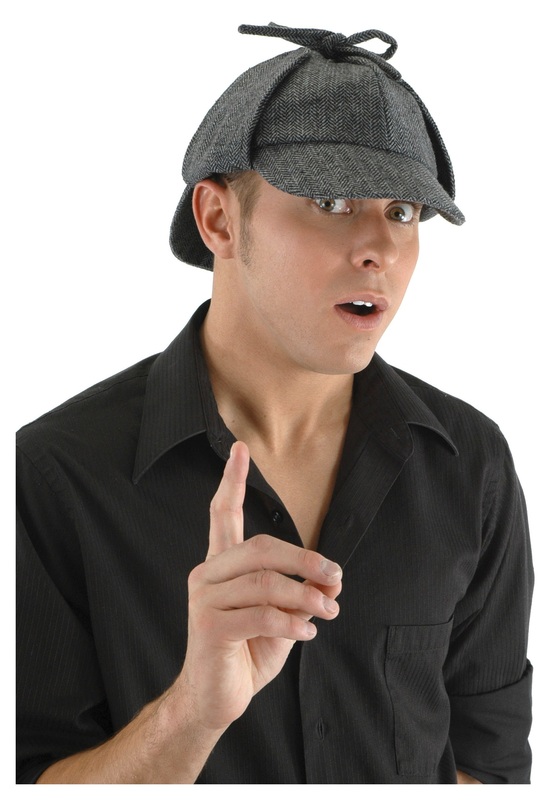 Fun Sherlock Holmes fact: The phrase "Elementary, my dear Watson" does not appear anywhere in the writings of Sir Arthur Conan Doyle, Holmes's creator. It is a line from the 1929 movie The Return of Sherlock Holmes, spoken by actor Clive Brook in the title role. According to anecdotes the phrase MAY have also been used earlier, by actor/playwright William Gillette in an 1899 stage production of Sherlock Holmes, but there is no written evidence of that. Interesting, no?? These are the types of things you can tell people all Halloween long... and you can also keep an eye on that Dr. Moriarty and make sure he's not doing anything weird at the party like stealing lightbulbs or thumb tacks, that sort of thing.